The recent GST reforms have been as a major game changer in the business world. There were new policies introduced, new tax reforms implemented and new categories defined, most of which have perhaps been too complicated for us to understand. Or so it seems. 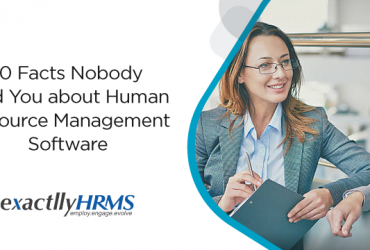 The truth is, a good accounting software can lead you out of this trouble in a whiff. If you choose to integrate GST accounting with ERP, things can certainly seem a lot brighter. 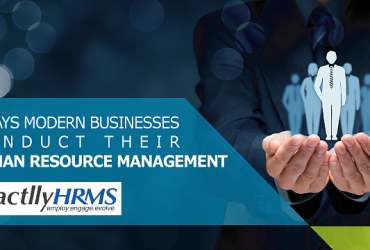 ERP is one of the most complicated and extensive projects a company can undertake for itself. But it works in the company's best interest in the long run, so the time, effort and investment are worth every penny spent. 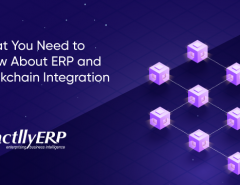 ERP acts as the backbone of your entire infrastructure, once implemented. Wouldn't it be useful if your GST accounting solutions too are integrated into your ERP, thus making things even simpler? The answer is always yes unless you are someone who prefers a complicated life. But, how does one integrate GST accounting with the ERP? The analysis is the first step to do anything in business. In order to perform the necessary integration, you need first to determine all the business scenarios that would be impacted by GST. Once you create the list, you have to check for any scenarios which are not mapped in the ERP. 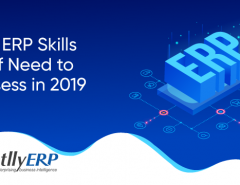 For every scenario not mapped in the ERP, a certain validation needs to be carried out to ascertain if the ERP structure is capable of accommodating them. In order to integrate GST accounting with ERP, you need to make sure that the ERP system (specifically, the localization version) is updated. The essential details of your organization have to be correct. Before you implement GST in your ERP, make sure that the master data like (GST IN no, TCS, TDS, CIN, ITD etc.) is both correct and complete. Since GST is to be implemented in the middle of the financial year, you need to assess the tax reports you submitted in the last financial year. More specifically, you need to analyze the impact GST would have on those reports. 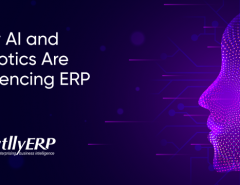 Since ERP is an ever-growing infrastructure, you need to make sure it is upgraded to the latest GST-compliant version. In case you think you are not the right person to do it, don't hesitate to seek the best professional help. Making sure that things are done perfectly is essential to the whole process or else undoing the wrong would be all the more cumbersome later, not to forget, any financial implications of the GST has not been properly computed. Every tax-related process, whether inward or outward, would need to be examined before you start integrating GST with ERP. You might need to modify these processes to make them compliant with the GST requirements. All the transactions would also need to be re-evaluated since they might be covered under the new GST reforms. The month-end tax utilization procedure would also need to be set up from scratch. The biggest roadblock on your oath to integrate GST accounting with ERP would be the tax calculation. With the new tax rates and rules, you would need to make sure that your ERP accommodates to all the new GST requirements. Furthermore, it would be better to ensure that the GST implementation not only adheres to current GST requirements but is also scalable to any future changes. It is a minor step, but it might well make things easier for you. You must sequentially number all the GST invoices that are to be submitted to the tax authorities. While it is a mandate under new GST reforms, it would also make things easier for you to organize. Once you make sure that the master data is both correct and complete, you now need to make sure it adheres to the new GST requirements. Certain details which were optional earlier are now mandatory under new GST reforms, like customer and vendor GST registration numbers. To correctly implement GST, there has to be a lot of paperwork. New reports need to be generated as per the new requirements. At the same time, all the existing reports, such as contracts, invoices, quotations and orders must be modified so that they reflect the current taxes. You would need to go back to all the scenarios you had compiled during the assessment for GST. Now, you would have to see if the interfaces with third-party tools would be affected in case of any of those scenarios. If yes, then appropriate changes need to be made. The biggest reform introduced in GST was perhaps the concept of tax credits. In order to avail them, you need to update the database regarding all the tax credits you could accumulate, such as excise duty, service tax, VAT etc. If needed, you might also have to distribute these credits to appropriate accounts in accordance with the new directives. If you had successfully re-evaluated transactions in the previous steps, you would now have to migrate towards the new GST implementation. Open transactions like purchase orders, sales orders and contracts must be migrated once you have managed to integrate GST accounting with ERP. But since things are not always perfect, you would have to take measures for managing unusual transactions also. These transactions include goods that were purchased before GST, goods that were sold before GST but returned after that, stocks that were in transit while GST was getting implemented etc. You would have to create cases for handling each of such scenarios. The correct utilization of the ERP system is crucial in any business. With the advent of new GST reforms, the appropriate implementation of the new policies in the ERP system is one of the more critical tasks. However, if done correctly, it would only serve to boost your business and make things easier for you. The process might seem complicated, but things are easier than they look. Above all, if you integrate GST accounting with ERP now, you are less likely to feel intimidated about all the paperwork and compliances. It will be one of those business decisions you'll be glad you took.